Japan is well known as one of the natural disaster-prone nations in the world. The nation has been besieged by earthquakes and tsunamis over the years crippling their economic infrastructure for a time period and taking the lives of their citizens. Since the Hanshin-Awaji Earthquake on January 17, 1995 the city of Kobe has launched about 191 Bokomi (Kobe city disaster safe welfare community). Lieutenant Nobutiho said three times in a year the communities engage in the activities as such as fire extinguishing, rescue team, escape guiding, life support, and the information team. Mr Ohtsu said support measures was implemented by Kobe City such as the provision of disaster provision materials, subdising of activity expenses, support of disaster prevention leader, support from the fire fighting service system, and the support of the volunteer fire corps. 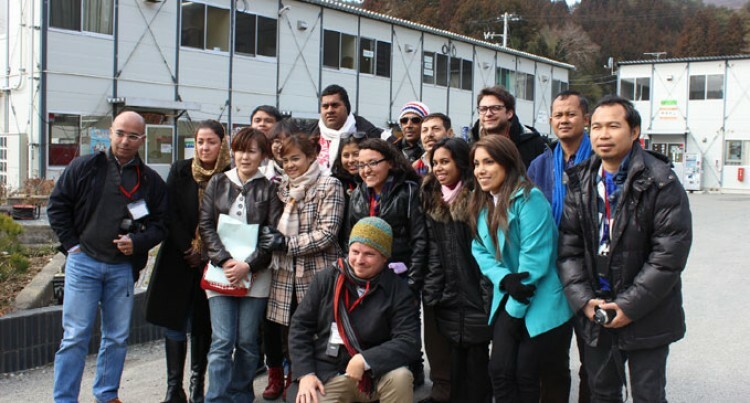 The 16 media representatives in Japan under the JICA media training programme visited a local community in Kobe to observe an emergency drill on a chilly morning. Mr Ohtsu added that neighbours among the community played an important role as they were always the first people that would lent a hand. “The next task is to live. I believe this is a way to remember those that have gone,” he said.